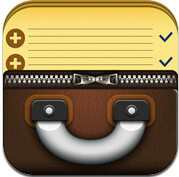 Suitcases (iPhone/iPad) - Makes packing for trips easy! ~ Android Forever! Suitcases (iPhone/iPad) - Makes packing for trips easy! Developer Quote: "Suitcases will be the answer to your daily unintentional forgetfulness! Having so many things to do every single day, it is just normal to forget one or two things that are parts of the list of things to do before the end of play. It's about time that you put it to an end then because there's always a solution to every dilemma. Now Suitcases app is here for your rescue!" The app has been devised simply, but it never fails to amaze its users as well as meeting its purpose. There are many things inside every suitcase. To be more particular, they are all essentials. For instance, by clicking on the "Beach Trip" suitcase, you will see that there are items presented categorically to keep you guided. What preparations do I need to make before raging the road? What documents do I need for the foreclosure meeting? Well, Suitcases has several suggestions that is apt for every suitcase just in case you need to be reminded of major stuff that has to be settled beforehand. We tend to bring so much stuff on every trip we plan to undertake. More often than not, we end up a little bit on the failed side. With Suitcases, you're "Oh my God! I left my polka dotted undies!" are over. Everything is classified, from your sweet tooth, all the way to your personal grooming needs ... and to your undies. Anyways, some of the categories you'll see are labeled swimwear, first-aid kit, snacks & drinks, and so on and so forth. Plus 1, Plus 2, Plus 3 Suitcases, All Up to You! Aside from the three, you will be able to add more suitcases. The Plus Button: It allows you to add more suitcases for certain events that you need to attend to. Personalizing a Suitcase: After adding a suitcase, name it and then add as much as items in it that you think would be fit for your travel plan. Just click on the categories and automatically, the essentials will be listed accordingly. Suitcases is a simple yet an ultimate app for everyone. Click on the link below to download the app for just $0.99!